He appears regularly at all the major music centres: the Aldeburgh, Edinburgh, Munich, Schubertiade, and Salzburg Music Festivals; Carnegie Halland Lincoln Centre New York; the Concertgebouw Amsterdam and Philarmonie Berlin; the Châtelet and Musée de Louvre Paris; La Scala Milan and Teatro de la Zarzuela Madrid; Musikverein and Konzerthaus Vienna; and Wigmore Hall and BBC Proms London. Director of the Perth International Chamber Music Festival in Australia from 2000 - 2003, Julius Drake was also musical director of Deborah Warner’s staging of Janáček’s Diary of One Who Vanished, touring to Munich, London, Dublin, Amsterdam and New York. Since 2009 he was been Artistic Director of the Machynlleth Festival in Wales. 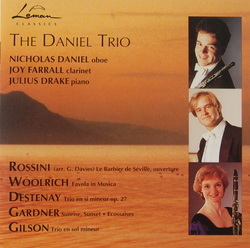 Julius Drake’s many recordings include a widely acclaimed series with Gerald Finley for Hyperion, for which the Barber Songs, Schumann Heine Lieder and Britten Songs and Proverbs have won the 2007, 2009 and 2011 Gramophone Awards; award winning recordings with Ian Bostridge for EMI; several recitals for the Wigmore Live label, with among others Alice Coote, Joyce Didonato, Lorraine Hunt Liebersen, Christopher Maltman and Matthew Polenzani; and recordings of Tchaikovsky and Mahler with Christianne Stotijn for Onyx and English song with Bejun Mehta for Harmonia Mundi. 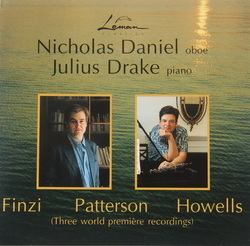 Julius Drake is now embarked on a major project to record the complete songs of Franz Liszt for Hyperion: the second disc in the series, with Angelika Kirchschlager, won the BBC Music Magazine Award for 2012. Aldeburgh, Brussels, Cincinatti, Toronto, Utrecht, and annually at the Schubert Institute in Baden bei Wien.